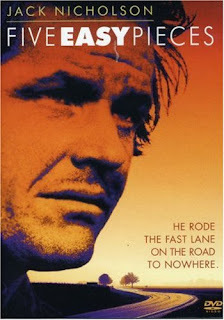 Jack Nicholson followed up his Easy Rider star-making role with this other “Easy” stellar performance. Both films deal with rebelliousness, although this one does not offer a positive view of nonconformity. The movie opens with dirt literally being thrown at the camera, and, thus, the audience. Bobby Dupea (Nicholson) – if you put the “a” in front of his name he is called “A Dupe,” in essence a fool - is working in an oil field. 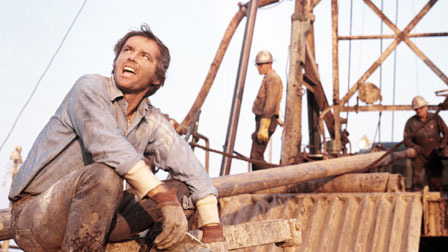 It is a grimy, blue collar job where he participates in the daily grind of making a buck. 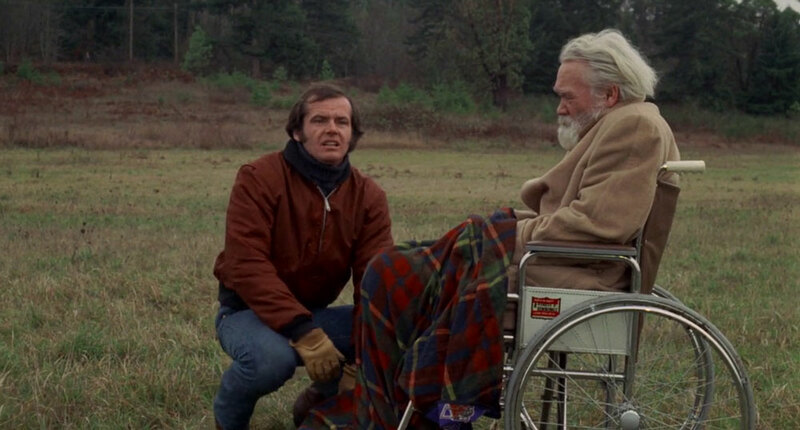 This opening scene may seem to show that Bobby is associating with down-to-earth people, but he is not happy there. 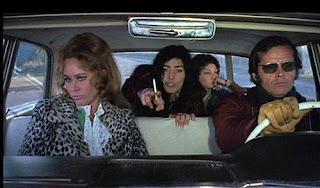 He seems to tolerate his girlfriend, Rayette (Karen Black) who wants to be a country music singer. He bowls, gets drunk with his pal, Elton (Billy Green Bush), and cheats on Rayette. On the way to work one day, Bobby and Elton are stuck in a traffic jam. Bobby goes into a rage, comparing people to ants. It is here we get a glimpse of the past life he left to participate in his current one. 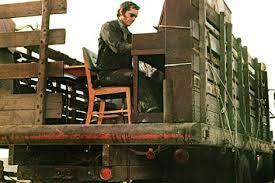 He jumps out of the car and boards the back of a truck which contains a piano. He starts to play the piano whose music is in counterpoint to the cacophony of the cars with their horns blaring around him. The truck then exits the flow of traffic, which is symbolic of Bobby’s urge to deviate from the mainstream. Those in the cars are angry about their individual needs being frustrated. But, only Bobby acts on the infringement on his individuality. In essence, he has lived his life in counterpoint to wherever he happens to be. There is another scene near his family house on a bridge where Bobby himself causes a traffic jam to have a conversation. His desire to have things his way shows a disregard for the situations of others. These two scenes show how the individual and society can often clash when the needs of the one are weighed against the needs of the many (I’m starting to sound like a Star Trek movie again). Rayette threatens to kill herself if Bobby leaves her, so he brings her along on his family visit. They encounter two women on the road and give them a ride. One of the women, Palm Apodaca (Helena Kallianiotes) describes the world as a filthy place full of “crap,” in essence echoing the opening scene where dirt is flung at the screen. She says, “Man! He likes to create a stink! I mean I’ve seen filth you wouldn’t believe. Ugh! What a stink!” She talks about going to Alaska to get away from it all. To a degree, she is like Bobby, wanting to escape and run away from the world. But she is commenting on what “man” has done, and she is traveling with a female companion, probably her gay lover. So, if the world is a mess, then she may be accusing the male gender for making it so. The movie amplifies this indictment of men when the song “Stand by Your Man” is played. Rayette stays devoted to Bobby not matter what indignities she must endure at his hands. In this film, men do not stand by their women. In the short speech that Struthers’ Betty gives she says her mother said that the dimple in her chin meant that God didn’t like her because if He did He would have instead put dimples in her cheeks. She says she would cover her chin while praying to God thinking he may listen to her if the dimple was not seen. The implication could be that women have been marginalized by their looks. Also, Betty is saying that she, too, is an outsider because she does not meet the accepted standards of society. In addition, at the Dupea house there is no mother figure noted. Maybe this eccentric family would have benefited by a matronly female presence. 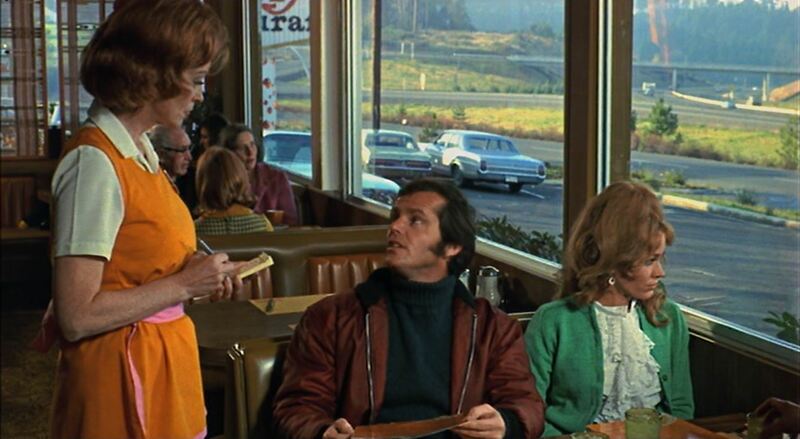 Bobby, Rayette and the hitchhikers are involved in the famous diner scene which follows. Here, we tend to sympathize with Bobby because we have all tried to get something for ourselves only to be thwarted by ridiculous rules. He can’t get a chicken salad sandwich the way he wants it. It is a simple scene which speaks volumes about the individual, who, like a child, wants things his way, and does not want to be told “no, you have to follow the rules.” Again, Bobby explodes and violently clears the dishes off of the table. But, we also realize that the waitress didn’t make the rules, and is just trying to do her job. 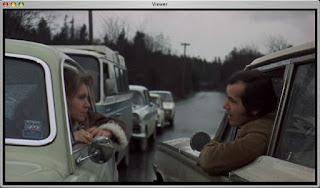 After dropping the two women off, Bobby and Rayette drive to the Washington home. Bobby wants to keep his two worlds separate, so he tells Rayette to stay at a motel. He finds his father is physically unresponsive, but his condition perhaps also symbolically shows how his dad has become paralyzed by the bloodless musical way of life he fostered. His brother, Carl (Ralph Waite), a violinist, is engaged to a pianist, Catherine (Susan Anspach). She is attracted to Bobby, perhaps because he has escaped the cerebral, disciplined artistic world of his upbringing. They are in a room together where pictures of the family members adorn the walls. Bobby’s is there, but he left those walls. Catherine shows concern that she may be placed on those walls, her three dimensional body flattened to just a representation of a full bodied woman. This perception may be the reason she goes to bed with Bobby. Rayette, bored staying at the motel, shows up. It appears that Bobby and Catherine are not the only ones who want an alternative to the demands of musical virtuosity. Carl flirts with Rayette, and we later find Bobby’s sister, Partita, getting a massage from the burly male nurse who attends the father. There follows a scene where Bobby, again switching preferences, gives an impassioned defense of Rayette in front of an effete, pompous family friend who visits the house. 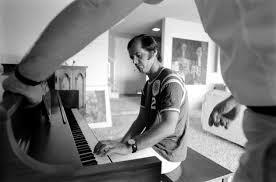 In another scene, Bobby plays the piano for Catherine, who compliments him. He dismisses the gesture, saying he played the easiest piece he could think of. He played it when he was eight years old, and he says he played it better then. He felt nothing playing the music, no emotion. 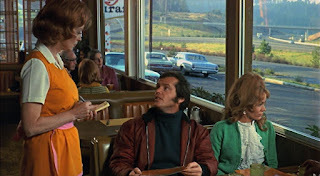 The “Five Easy Pieces” of the title are what the youth learns early on. But, Bobby has never advanced past that time. He, in essence, is still an immature child. Catherine refuses to leave with Bobby, realizing that he is not capable of loving anything, not even himself. 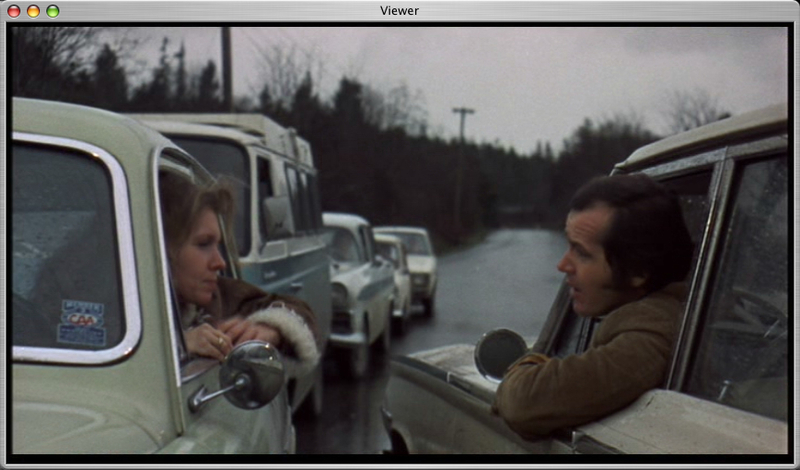 At the end of the film he abandons Rayette, saying he is getting some coffee while they are at a gas station. He hitches a ride with a truck driver. At one point during the film Bobby says “I move around a lot. Not because I’m looking for anything really, but ‘cause I’m getting away from things that get bad if I stay.” Things get bad because he can’t emotionally find it in himself to compromise his individual wants by making a long term commitment to others. He is a man who is not at home anywhere. Next week’s movie is The Searchers.